Ford Motor Co. is looking at making a $400 million investment in its Michigan Assembly Plant and a related stamping operation in Wayne, Mich., aided by some $159 million in state tax assistance approved today. Ford is looking to convert the assembly plant, which previously manufactured large body-on-frame products like the Expedition and Navigator, into a flexible manufacturing plant that would produce smaller vehicles off a global platform. The initial model is expected to be a newly designed Ford Focus, which Ford officials said could roll off the assembly line in 2010. The project includes investment at the former Michigan Truck Plant as well as at the adjacent Wayne Stamping Plant. According to state briefing documents, the project is expected to retain 3,200 jobs and could add 1,500 more over the next five years. The Michigan Economic Growth Authority board approved one state retention tax credit valued at $123 million, a brownfield Michigan Business Tax credit of up to $30 million, and $6.4 million in local and school tax capture towards the project. 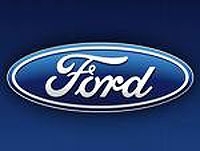 The board also gave the project a five-year state anchor new jobs designation, which will provide tax incentives to Ford for attracting customers and suppliers to locate in Michigan in connection with the project. That incentive will be based on the amount of jobs created by authorized suppliers and customers. In connection with the project, the city of Wayne has approved $15.4 million in property tax abatements.